You may have mastered getting people to your landing page, but getting them to become a customer is a whole different story. So why is it that you are able to get them there but they aren’t converting like you want them to? The problem could be that your landing pages aren’t effective. An effective landing page is measured by the conversion rate versus the traffic. So, how do you know if you have a bad landing page? Take a look at these four big mistakes marketers make on landing pages to see how yours add up. Let’s be honest, no one has the time to go through thousands of words just to get to the point. Many times marketers and business owners only have a few seconds to skim your page, so if you have long paragraphs of texts, chances are high that they are just going to skip it all together. Too much text is a big deterrent.To avoid this, make your words short and to the point. Use numbered lists or bullet points to highlight the most important points you are trying to get across. This is a great time to follow the “less is more” rule. Even though you are using fewer words, the ones you do incorporate need to be bold enough to stand out and still explain what you do and make them want to convert. Here is a Pay Per Click ad that has way too much text. 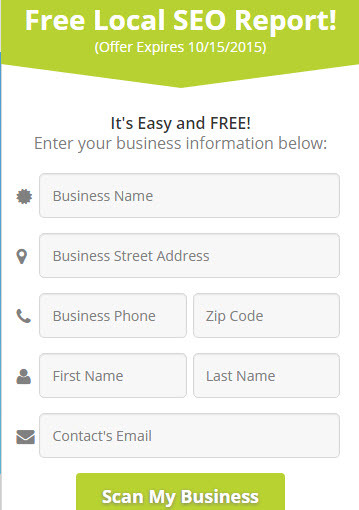 In addition, there is no real “Call to Action” other than a simple contact form, which does nothing to compel the visitor to actually contact the business. 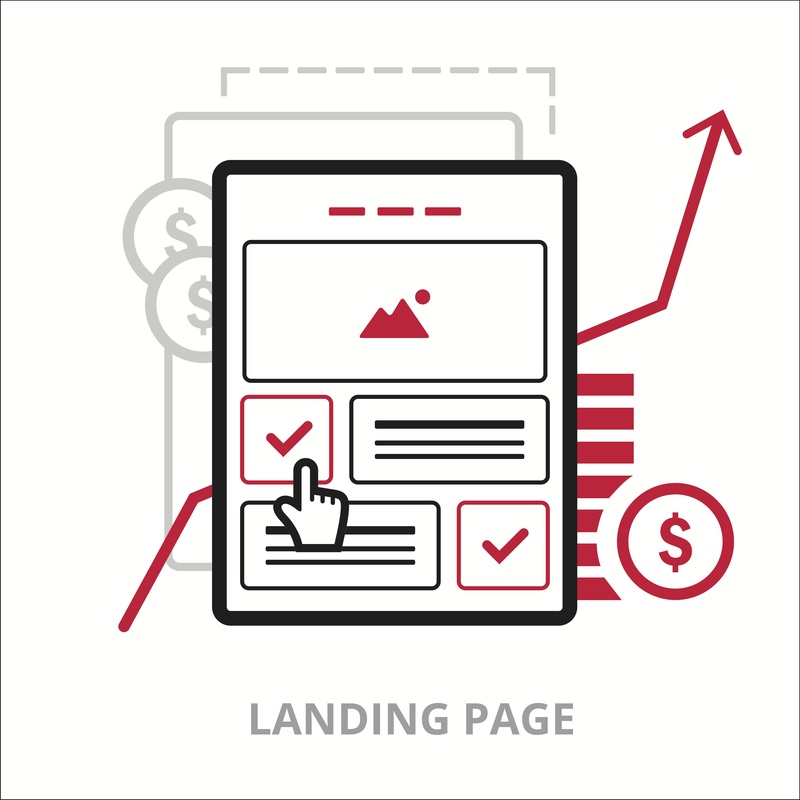 One major component of a landing page that can greatly harm your conversion rate if left out is explaining the value your business provides. If a potential customer does not feel you provide them with value, they will never sign up and never convert. In fact, chances are they won’t return to your site again either. To combat this, clearly spell out exactly what value you do provide and why you are better at it than your competition. The more value to show, the easier it will be to gain their trust and convert them. The balancing act comes in because you still have to do this in as few words as possible. 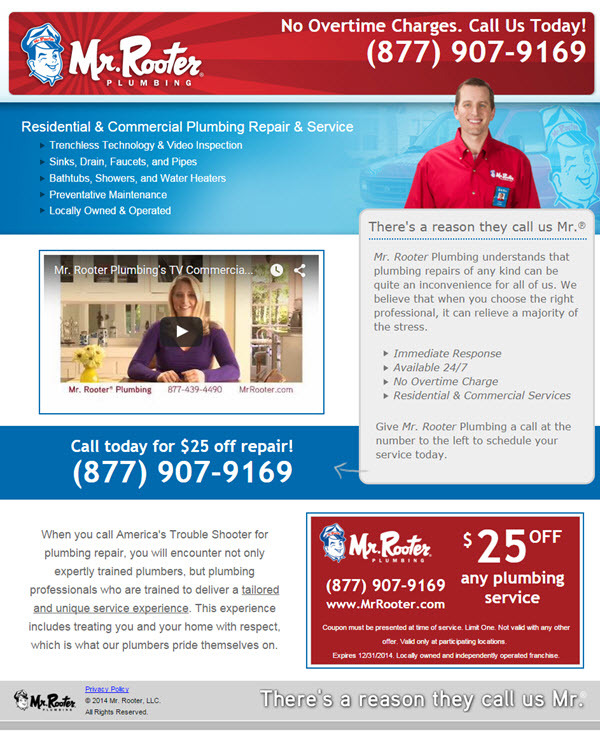 The customer video testimonial helps to emphasize the value on this landing page. This goes hand-in-hand with the too much text rule (see graphic in #1 above). If you don’t have an image or video present on your landing page, you will ultimately lose potential clients. People want to be able to see what your product does and see it in action. Without a clear picture, they aren’t as likely to pull the trigger on converting. Placing a picture or video of your product at work can be the difference in gaining one client or ten. Images also break up the text, making your landing page more visibly appealing and they make the text easier to read. Above all else, if you don’t have a good call to action, you are most likely not going to convert too many people. You have to give your audience a reason to want to act and give up their precious contact information. Additionally, your form should be as simple as possible. If it is too long and wants too much information, most people are going to close your web page before ever filling it out. The solution for a bad call to action is the keep it simple and clear. Don’t over-word the message and make it confusing. You want them to fill out the form, direct them to the form and blatantly tell them to fill it out. It should be obvious and stand out, not something people need to work for. Lastly, offering them something in return for filling out the contact form, like a free eBook or a white paper is an easy way to engage readers and make them want to surrender their information. Asking for only the information you need, like name and email address, will make it a lot harder to get over that fear of committing that many people face. When you start asking for addresses and phone numbers people start to get nervous and usually quit before finishing your form. The best thing you can do is get the two pieces of information you need up front and then nurture your lead to eventually get the rest of their contact details. 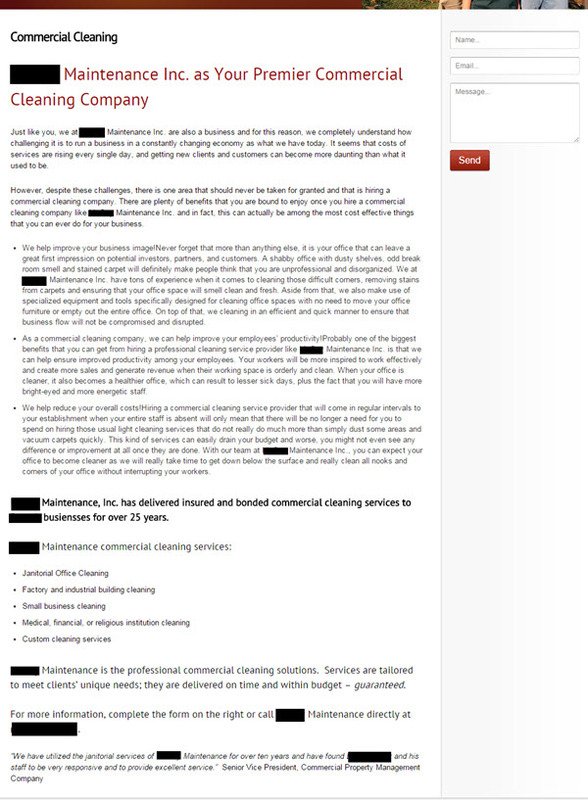 In this example, someone doing initial research on finding an SEO company may hesitate to give all this information for fear of being bombarded with sales pitches by phone and direct mail. If your conversion numbers show that you have the visitors but not the clients, then you need to take a look at your landing pages and make sure you aren’t falling victim to one of these common landing page mistakes. With a few easy fixes, you can really take your business to the next level. If you are serious about creating effective landing pages for lead generation and working with a marketing company that will help you make sense of it all, sign up for the Duct Tape Marketing System Video Training. We will show you exactly what to do with your marketing, step-by-step.